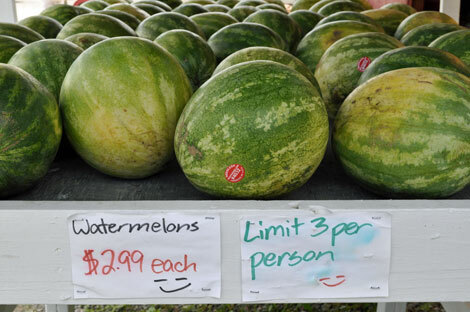 I was wondering how many watermelons one person can carry. 3 sounds generous. Lol. They sure look like summer is here!